Cruciferous vegetables—including broccoli, cauliflower, rutabaga, and Brussels sprouts—are some of the most nutrient-rich powerhouses you can feed your body. 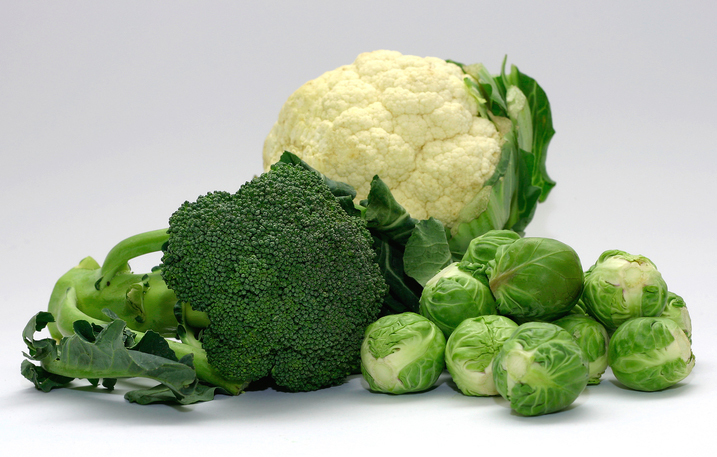 The benefits of cruciferous vegetables include a lower risk of cancer. Look to broccoli, cauliflower, and brussels sprouts to enjoy the benefits of cruciferous vegetables. Want vegetables packed with nutrients? Look no further than the brassica family. Cruciferous vegetables, which include things like broccoli, cauliflower, cabbage, bok choy, and even rutabaga, are some of the most nutrient-rich powerhouses you can feed your body. 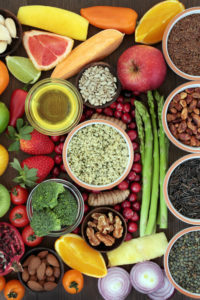 These delicious and nutritious veggies should hold a permanent, starring role on your plate; try eating them at least five times per week to help prevent cancer, lower cholesterol, and more. Cruciferous vegetables contain several nutrients that have a whole host of beneficial effects in the body, including anti-inflammatory, antioxidant, antibacterial, antifungal, neuroprotective, hypoglycemic, and lipid-lowering effects. [2,3,8,9] And this translates into some pretty remarkable results, especially in terms of cancer and heart disease prevention. Cancer: There have been several studies linking high cruciferous vegetable intake to lower rates of cancer, as well as higher rates of cancer survival. [3,10] Some of the particular types of cancers affected include lung, ovarian, breast, and prostate. [4,11-14] Cruciferous vegetables may be more effective at protecting against cancer in some people compared to others, due to genetic factors. Heart disease: Cruciferous vegetable intake also seems to help lower the risk of heart disease, partly because these vegetables are great cholesterol-lowering foods. They are high in fiber and are potent sources of antioxidants. Additionally, compounds in cruciferous vegetables bind to bile acids, which is important for cholesterol control. Bile is used to help digest and absorb fats that we eat. When cruciferous vegetables bind these bile acids, they are excreted from the body. To replace the lost bile acids, our bodies must use cholesterol stores, which helps lower our cholesterol levels. Studies have shown that intake of certain cruciferous vegetables, such as kale, cabbage, broccoli, and more, can improve cholesterol scores. For example, in one study, men with high cholesterol who supplemented with 120 mL of kale juice daily for 12 weeks saw a 10 percent reduction in LDL (bad) cholesterol and a 27 percent increase in HDL (good) cholesterol. Researchers recommend eating at least five servings of these tasty superfoods per week. 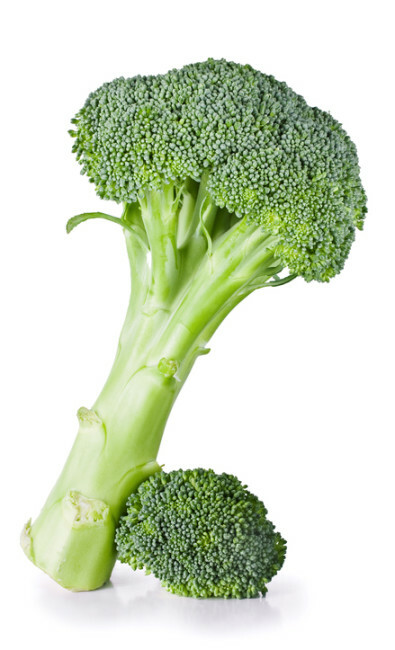 The most nutrient-dense parts of these vegetables tend to be the florets (like the flowering head of broccoli), although the leaves and stalks are healthy choices as well. The darker and more colorful the veggies are, the higher the antioxidant capacity as well. 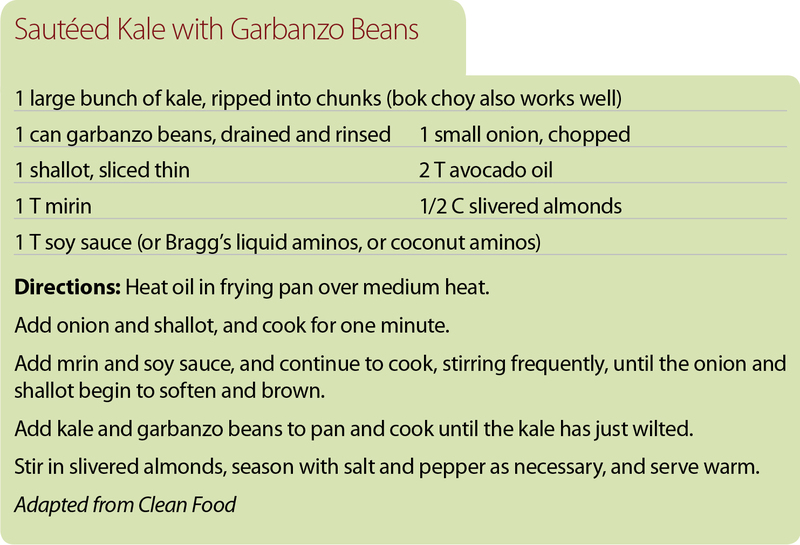 Try purple cabbage or kale to get the most out of your servings. So get started piling broccoli, bok choy, kale, cabbage, and more onto your plate today. Fortunately, the Brassica family is quite versatile; try making a fresh cabbage coleslaw, roasted broccoli and cauliflower with herbs and oil, a green smoothie with kale, bok choy stir fry, and much, much more. 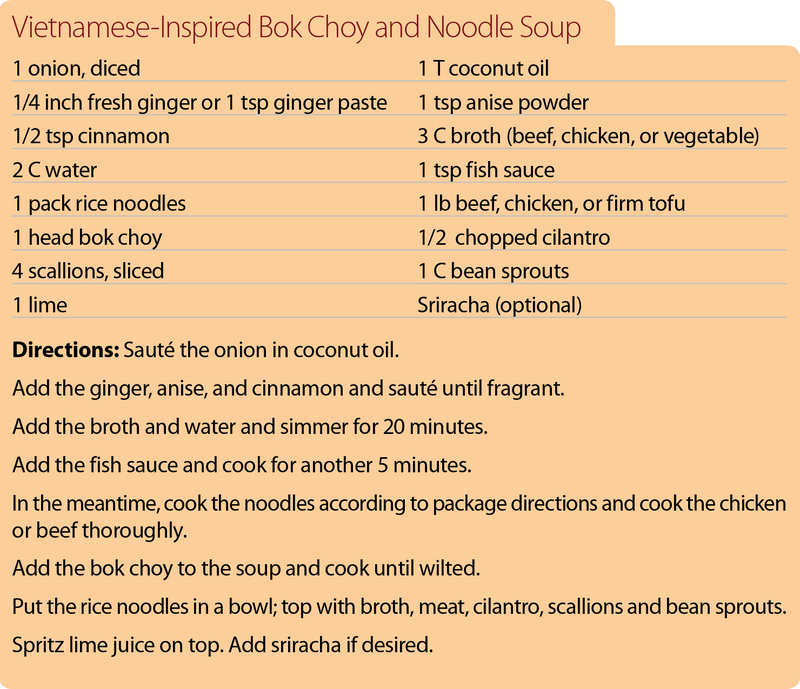 Below, we offer two recipes to get you started. 1. J Acad Nutr Diet. 2013 Sep;113(9):1182-7. 2. Rocz Panstw Zakl Hig. 2012;63(4):389-95. 3. Oxid Med Cell Longev. 2013;2013:964539. 4. Curr Pharmacol Rep. 2015 Feb 1;1(1):46-51. 5. Crit Rev Food Sci Nutr. 2014;54(8):1076-91. 6. Arch Latinoam Nutr. 2014 Mar;64(1):59-68. 7. Food Sci Technol Int. 2012 Dec;18(6):503-14. 8. Asian Pac J Cancer Prev. 2014 Jan;14(11):6657-62. 9. Chin J Nat Med. 2014 Sep;12(9):648-53. 10. Pharmacol Res. 2007 Mar;55(3):224-36. 11. Sci Rep. 2015 May 19;5:10306. 12. Asia Pac J Clin Nutr. 2015;24(1):101-9. 14. Int J Urol. 2012 Feb;19(2):134-41. 15. Nutr Res. 2008 Jun;28(6):351-7. 16. Biomed Environ Sci. 2008 Apr;21(2):91-7. 17. Molecules. 2015 Jan 13;20(1):1228-43.
anti inflammatory, antifungal, antioxidant, antioxidants, bad cholesterol, brassica, cancer, cancer prevention, cancer survival, cancers, cauliflower, cholesterol, cholesterol control, cholesterol levels, cholesterol lowering, cholesterol lowering foods, cruciferous vegetables, detoxify, diet, fiber, fight cancer, folate, food, glucosinolates, good cholesterol, hdl, health, health benefits of cruciferous vegetables, heart disease, heart disease prevention, high cholesterol, inflammation, kale, ldl, lower cholesterol, nutrient density, nutrients, polyphenols, Prostate, risk of heart disease, selenium, smoothie, studies show, vegetables, vitamin, vitamin c, vitamin e, vitamin k, vitamins, vitamins minerals. I thought you might be interested in this article on https://universityhealthnews.com: Benefits of Cruciferous Vegetables: Eat Your Brassicas!